Harry Potter: Film Wizardry gives readers a front row seat to the magical journey that brought J.K. Rowling's wizarding world to the big screen. Step off Platform Nine and Three Quarters and into the hidden world behind the scenes of the Harry Potter film series. Brian Sibley is the author of other bestselling behind-the-screen books, like The Lord of the Rings: The Making of the Movie Trilogy and The Land of Narnia. 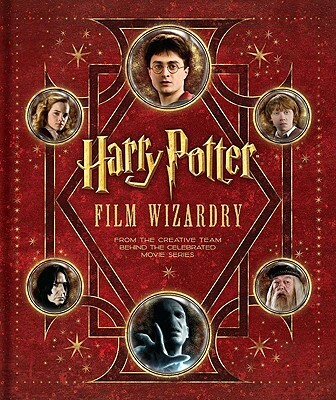 The book includes Producer's Diaries from the Harry Potter films' executive producer David Heyman. Brian Sibley has serialized and broadcast numerous radio and TV programs for the BBC, including: J. R. R. Tolkien's The Lord of the Rings, C. S. Lewis' The Chronicles of Narnia, and Gormenghast, for which he won a coveted Sony Radio Award. Sibley's film books include the best-selling The Lord of the Rings: The Making of the Movie Trilogy and Peter Jackson: A Film-Maker's Journey, as well as The Disney Studio Story, Mickey Mouse: His Life and Times, and The Land of Narnia. He lives in London, England. David Heyman is Executive Producer for the Harry Potter films.